This post was created in partnership with hydraSense®. To make sure hydraSense® products are right for you, always read and follow the label. Bedtime. Every parent wants to crack this one. Not only can sleep be hard to come by as a parent, but it’s your job to teach your kids healthy bedtime habits and how to sleep through the night. Not to mention that depending on the age and stage of your child, sleep is constantly morphing and it’s up to you to decode it and figure out how to tweak it to your child’s needs. 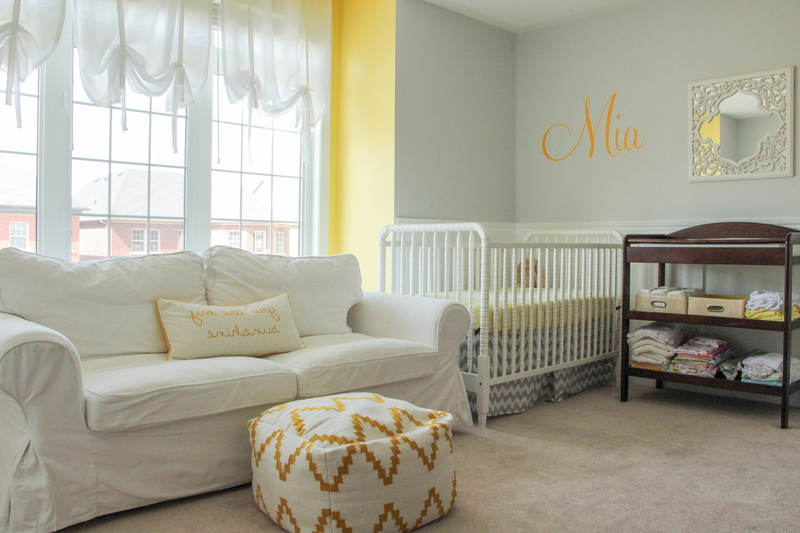 Having four kids with good sleep habits hasn’t come without hard work and occasional hiccups. But for me, healthy sleep for our whole family is a priority and I have been fiercely protective of it from day one. Here are some helpful trouble shooting tips I have picked up along the way that may just help your family too. Have a plan. Before I get into the importance of having a plan, I think it is important to say that it’s okay to throw your plan, or someone else’s suggested plan out the window if it is just not working for you. I did. When I first became a mom I tried to fit our son Holden into this very strict sleeping schedule that I read in a parenting book. It drove me crazy when he just wouldn’t conform to this generic formula that had nothing to do with my baby. It felt so good to let other people’s rules go and just follow my gut, knowing that finding what works may take some trial and error. 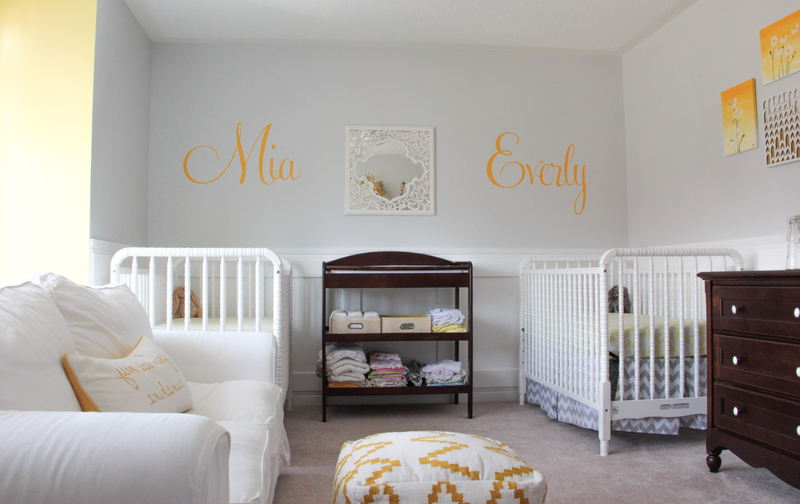 When I found out I was having twins, I thought of everything, including how to create an optimal sleep environment in their nursery, to rehearsing (using dolls), our future night time routine. This might sound a little overboard, but after being through the baby stage twice I knew that a plan and having a goal made a big difference. For me it was having my twins sleep in their cribs, in their own room from day one and that I would be able to independently do night feedings from the beginning. This plan paid off and actually worked really well. Get creative when you hit a bump in the road. Just this past week, Mia (one of our three year old twins), started into some separation anxiety and a fear stage. This caused Mia to wake up nightly crying and screaming for hours on end. Despite what we would try, Mia’s hysterics would escalate keeping her twin sister, Everly awake in the bed beside her. Eventually, we began taking Mia into our bed, (something we try to avoid); just so that we could all just get some sleep. After a few days of this I decided something had to be done. What could help Mia stay in bed all night and avoid the tears? That’s when I came up with the idea for a sticker chart. So that day I set out to buy special poster paper and stickers and created three charts, one for each of our girls (our son didn’t want one). This little reward in the morning has changed everything. Since implementing a sticker chart, we haven’t heard a peep from either Mia or Everly at night. Be consistent. This is probably one of the most common rules to babies and kids sleeping well. Have a schedule and stick to it. Our schedule was something that I was fiercely protective of which has created very predictable sleeping patterns and happy bedtimes. Anytime we’ve been forced out of routine because of special events, or trips we see the ripple effect. So, we make sure that whenever possible we can try to schedule life around our sleep routines. Relax and be ready when your kids get sick. 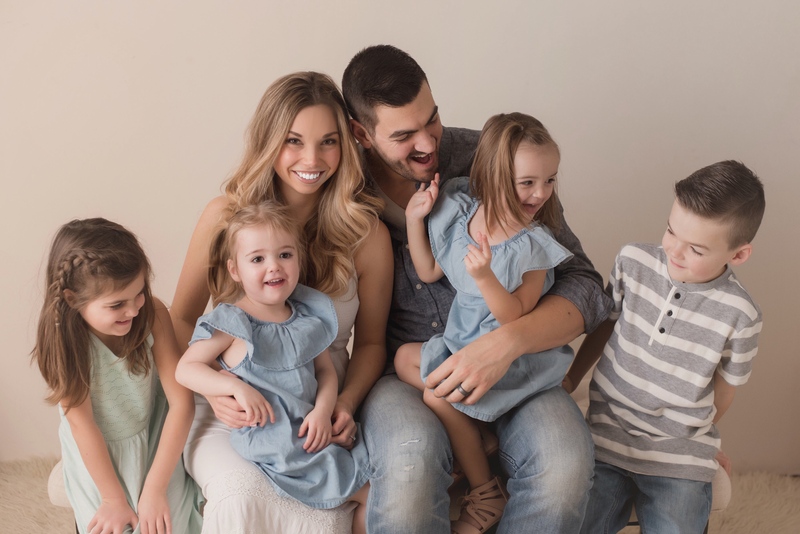 All of my tips above are great… when your kids are healthy, but every once and while an illness settles into our home and disrupts everyone’s sleep. Often, when our kids get colds, it hits Everly extra hard. She has always been more prone to congestion than our other kids and it’s our job to make sure I can reduce and relieve her nasal cold symptoms to help her breathe better. 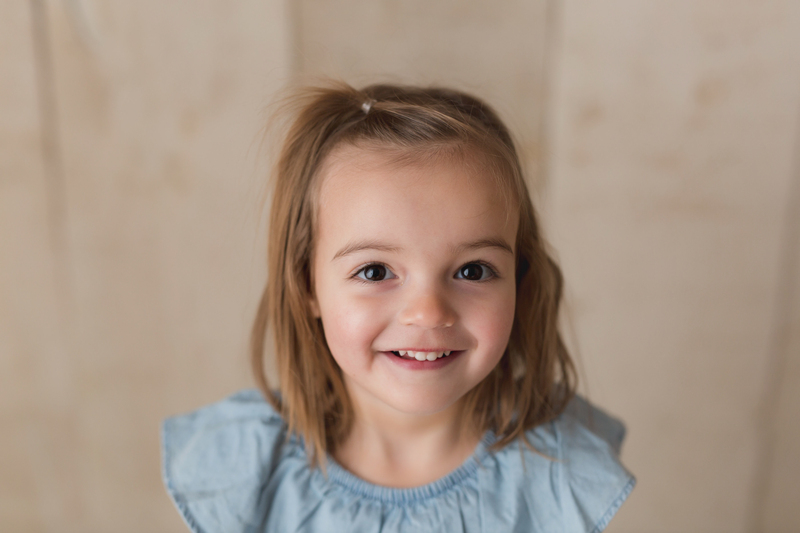 I have always relied on hydraSense for all of our kids, especially Everly. hydraSense Baby Nasal Care can be used up to 4 to 6 times a day when your child’s nose is blocked due to colds, or allergies. This is especially helpful when your child is under age two, and is not able to blow their own nose effectively. 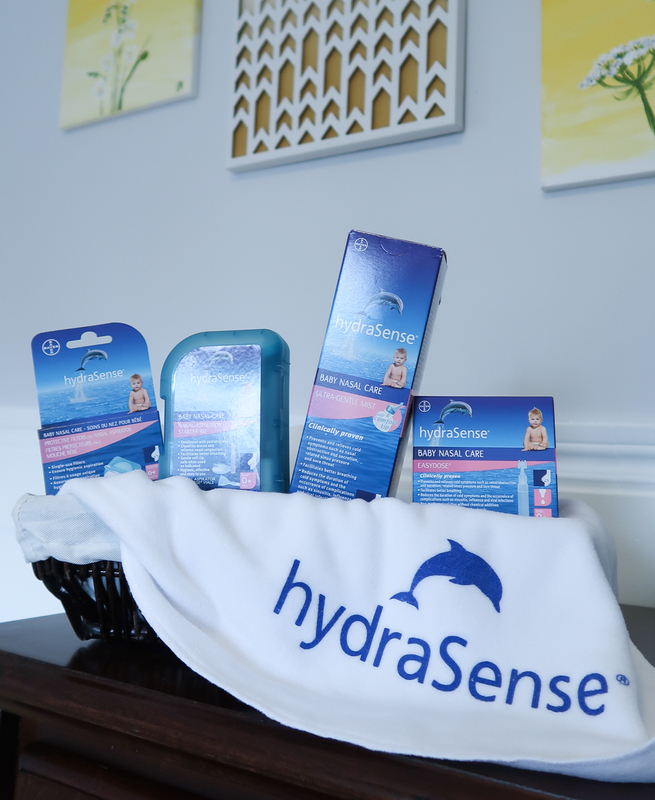 For more information on hydraSense, including Ultra Gentle Mist, Easydose vials and Nasal Aspirator, head to http://www.hydrasense.ca/ . Disclosure: This post was sponsored by hydraSense®. While compensation was provided, all opinions expressed herein are those of the author and are not necessarily indicative of the opinions of hydraSense®. To make sure hydraSense® products are right for you, always read and follow the label. Thank you for sharing! Will definitely be referring to this as our twins grow.